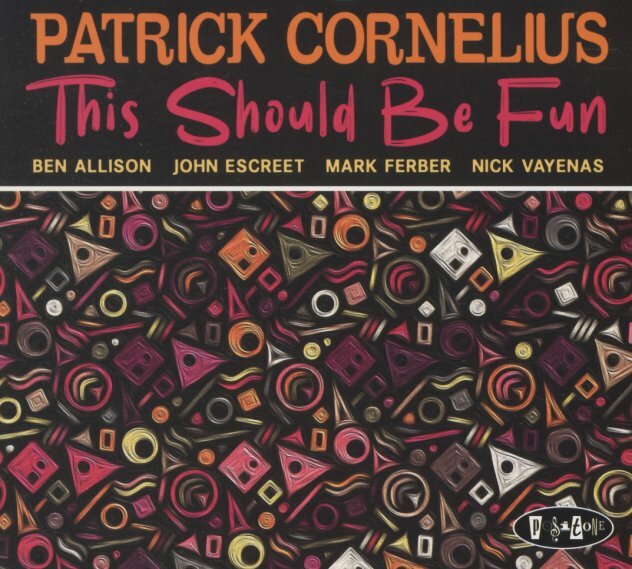 Patrick Cornelius steps out here both as a strong leader, and as a great songwriter too – on a set that's filled with almost all original material from the pen of the alto saxophonist – tunes that have a strong sense of color and verve, which makes the record one of the most illuminating to date from Cornelius! The group's also got a real strength in the piano of John Escreet – who has some sharper edges that really enrich the vibe of the record – and Patrick's alto lines are also balanced with a nice sense of depth from trombonist Nick Vayenas, a player we don't know at all – but who seems to be finding his own with the set. The rest of the group features Ben Allison on bass and Mark Ferber on drums – and titles include "Precious Souls", "Telescope", "Big Pictures", "This Should Be Fun", "For Morgan", and "Restless Willow". © 1996-2019, Dusty Groove, Inc.